Orange County, California-based The Bruery’s new “Share This” series of unique and innovative craft beers is not only producing creative and high-quality brews we love, it’s also raising funds for a variety of humanitarian causes dictated by each brewing project. In the case of the brewery’s Share This Coffee Stout, the coffee is Mostra Coffee sourced from the Philippines and the cause is the Free Wheelchair Mission which provides wheelchairs free of charge to disabled persons in the Philippines and other developing countries. One dollar from every beer purchased goes to the nonprofit Free Wheelchair Mission. 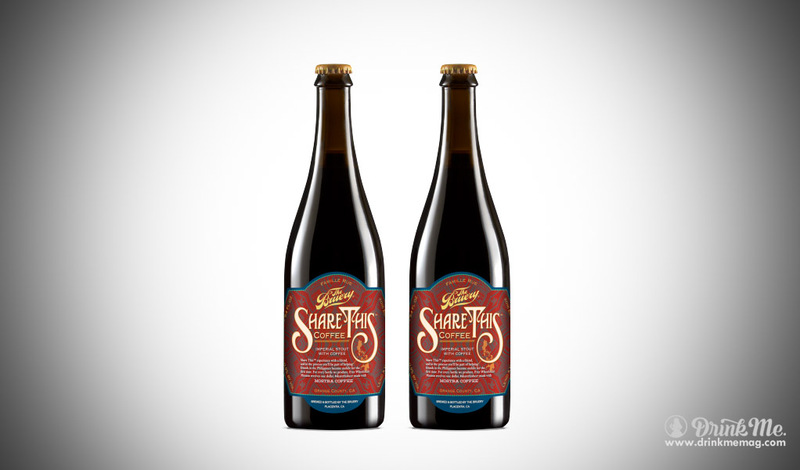 Share This Coffee Stout is a brew coffee snobs can embrace; unlike many so-called “coffee stouts” this Imperial Stout does not shy from bold, vibrant, and robust coffee flavor and character. Not the watered down garden variety Americano version either—this beer is pure espresso: rich, hefty, and just delightfully bitter enough. Just don’t expect it to produce the same effect as your afternoon double shot—this velvety brew has a weighty ABV of 11.9%. All the more reason to grab a friend, take The Bruery’s advice, and Share This. Julia Reynolds is a writer and bartender based partly in Hawaii, partly in Alaska, and partly on a beach somewhere in Southeast Asia. She’s learned the fine craft of creating quality cocktails shaking martinis behind bars from Mykonos, Greece to Hanalei, Kaua’i. She is currently on a year long trip around the globe during which she has cycled (and sampled) the vineyards of New Zealand and sipped rice wine on a wooden boat on the Sarawak River in Malaysian Borneo. When she’s not working you can find her climbing something, swimming in something, or hiking something—and often toasting the accomplishment afterwards with a Cadillac margarita or a crisp sauvignon blanc. If you’ve got a story you want to tell, email us at editorial@drinkmemag.com.